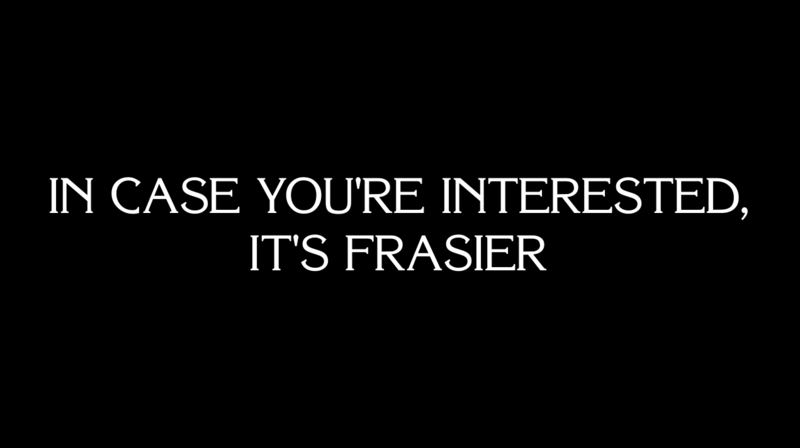 Do you miss the hit sitcom Frasier (1993 - 2004)? 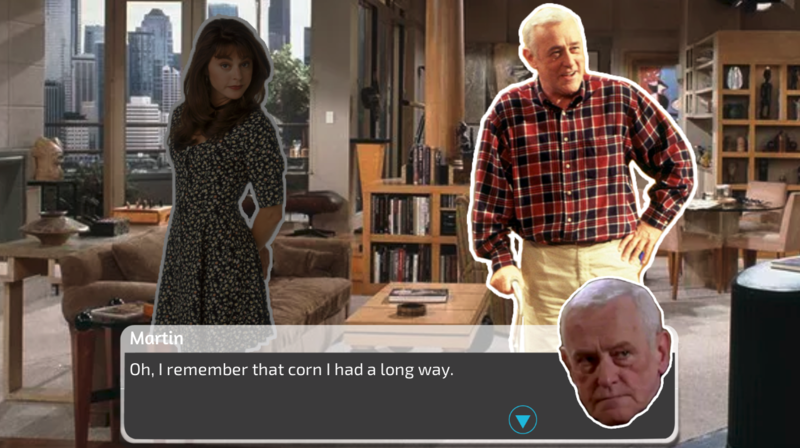 Do you wish that you could live in that weird, sterile version of Seattle alongside all of your old friends, like Niles, Martin, Daphne, and Roz? 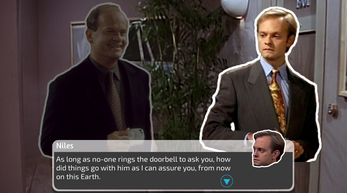 Using cutting edge Markov Chain technology, we have created an infinite Frasier Episode creator just for you. Sit back, relax, and guide Frasier through a typical day at the studio, coffee shop, and ridiculously spacious apartment. 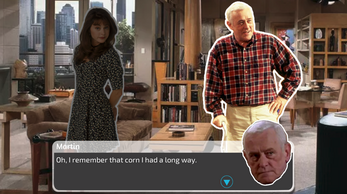 v1.1, now with working credits! Thank you for playing my game! 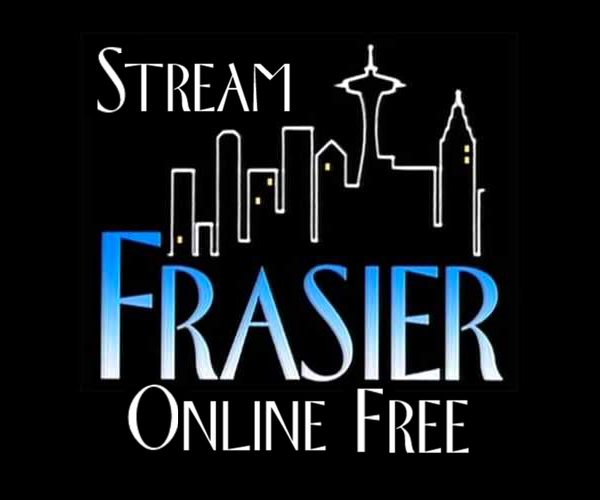 I was super glad to see you were able to get it even without having any Frasier experience. 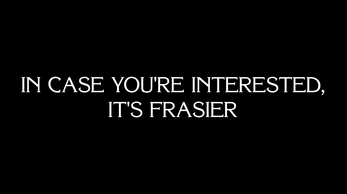 The show is Not Really Worth Watching, anyway. I especially liked how you understood exactly what I was going for with the Markov weirdness. Thank you, this made my morning. God this is an amazing creation. The aesthetic is so spot on, what an interesting idea. Good job!